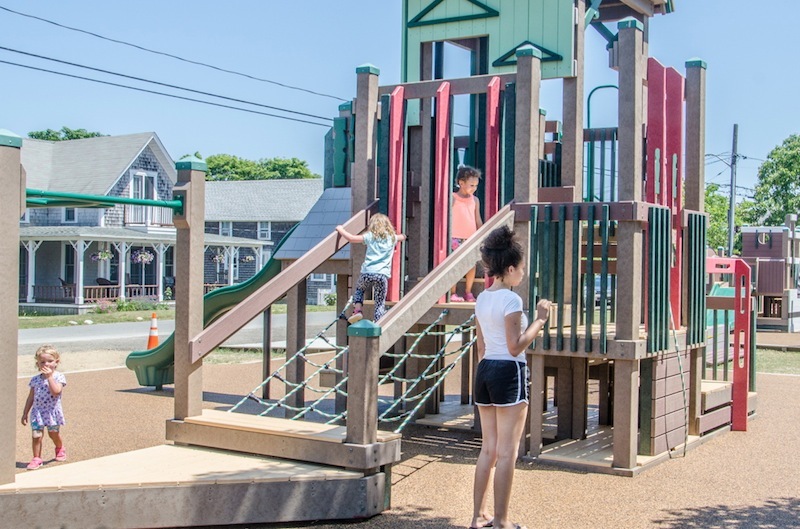 Playground at Niantic Park was rebuilt through volunteer effort. The children’s playground at Niantic Park is now open after a major renovation, including a new poured ground surface. Despite sweltering weather Friday afternoon, children were happily climbing on the playground structures. The new surface is a poured rubber material that is springy to the step, soft enough to prevent injuries from falling but dense enough to support wheelchair access for children with disabilities. 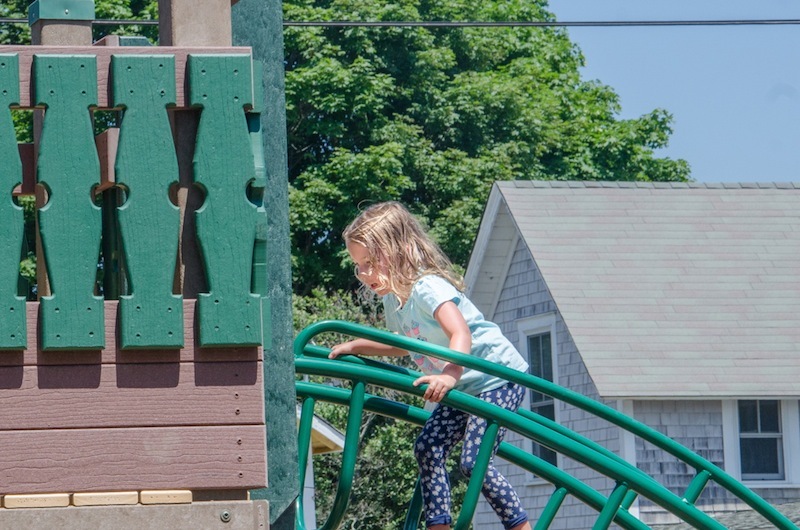 The playground is an upgrade from initial plans organized by Oak Bluffs residents. The group raised more than $92,000, and hundreds of volunteers helped build the playground over a five day period last fall. Niantic Park is the center of the town’s recreation programs, and has been closed since last spring for a major upgrade. Beyond the new playground, the basketball courts are new and improved, and there are new pickle ball courts. Funding is in place to repair and improve the tennis courts as well. The new basketball courts have already been in use, with the summer basketball program well underway. The project was funded Community Preservation Act funds, grants, and private donations. Congratulations to all involved in this project I had a moment to see the park just before it opened and it is wonderful, something for everyone. What an example of the government working with the community to create such a gem, Oak Bluffs should proud today.